Jackie’s webcomic skills seem a little 2005…big thanks to our friend MeganFantastic for today’s guest page! Check out her comic, Laserwing! 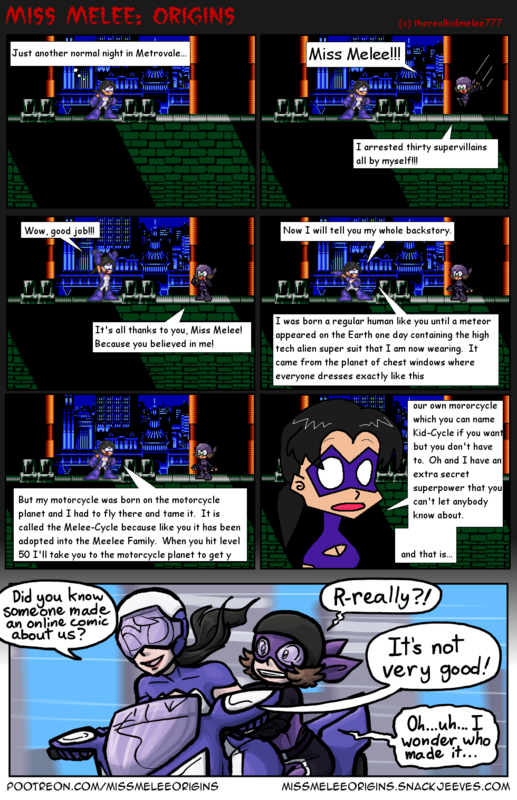 And if you want to make your own mid-2000s Miss Melee sprite comic, here’s the sprite sheet! Jackie is going to be so disappointed when it turns out Miss Melee is just her boring old mum. Or is she going to be thrilled that her Mom is Miss Melee?